Tired of hauling one awkward fence panel at a time? 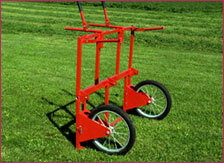 You need the Lil Mule Fence Cart— the only cart specifically designed to haul fence materials. You'll appreciate the time and labor the Lil Mule saves you from lugging materials. Work smarter not harder. 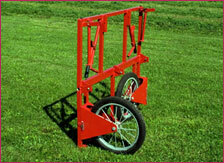 Turn fence cart so handles point up, and cart rests on the wheels. Fold in the fence cart's handles, legs, and wheels. 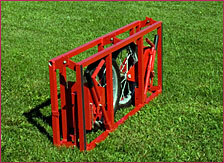 Fold fence cart in half for easy storage or transport.